Cost is $26 for the kit plus shipping--US shipping only (sorry to those outside the US). Current USPS flat rate medium box is $14.35. I will explore if I can ship for less (probably) using regional rate or regular shipping prices. 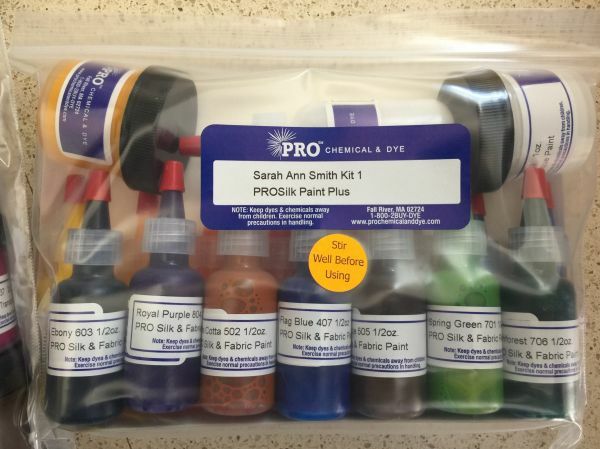 BOTH Paint kits can fit in a medium box, please see "Two Kits" item which saves on shipping cost! Available April 20th! $40.35 I will turn on the Add to Cart button about April 6th so you can pre-order. Please note that I will be travel teaching and cannot fill orders until on or after April 20. Thanks for understanding.